This tall herbaceous perennial grows from lots of tiny bright pink shoots in spring that then grow into grey-green and gold-cream variegated leaves. 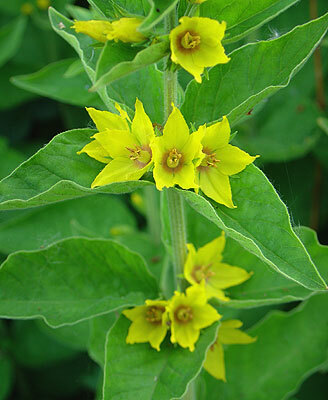 Originating from south east Europe, it has masses of yellow star-shaped funnel-like flowers that appear from May to August. It is much grown in gardens and occasionally escapes where it has become established in old quarries, lake shores, roadsides and wasteland and is increasing in popularity.